Behold the MOTHERLOAD LIST OF FACEBOOK LISTS! Everyone likes to gripe about Edgerank (myself included at times). But let's face it -- it's here to stay. So if we want to see more posts flowing through our News Feed, we need to find other ways to open up the spigot. 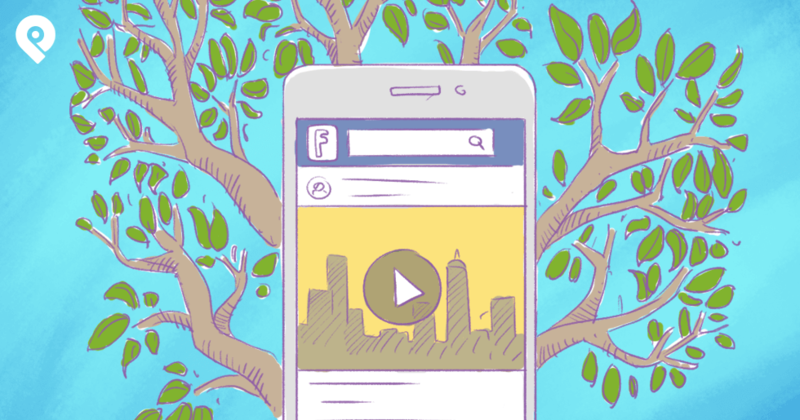 How do you get a more dynamic and vibrant News Feed full of diverse and ever-changing information? Facebook quietly launched "Interest Lists" about a year ago -- around the same time Timeline launched. Keep in mind that once you follow a List, you only see a summary of the List's recent posts in your main News Feed. To get the most out of the List, you need to visit it directly -- by clicking the List's bookmark in your left Facebook navigation. But here's the kicker... ready for it? There is NO Edgerank algorithm applied to Lists!! For example, on the Lists I created, I set them up to show only status, links, photos and videos -- normal posts, basically. I excluded all the other stuff -- like milestones, birthdays, liked pages, etc. I've done my best to show you a broad array of Lists from different people. But you'll notice many names repeated -- typically Facebook employees who've created Lists for users. Enjoy this "Motherlode List of Lists"! -- and make sure to follow them and share this post with your friends and followers! I start with the niche I talk about the most: Social Media. If you're in this niche or want to learn how to use social media for your business, follow these Lists! by Scott Ayres (me). This is my go-to resource for social media related news. You'll find Mari Smith, Social Media Examiner, Jon Loomer and more. If you're into Social Media, this List is a must. by Mari Smith. 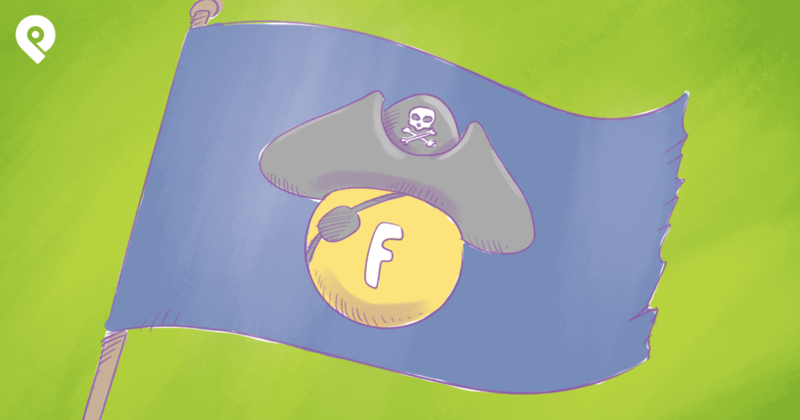 Mari's List is full of experts and pages focused mainly on Facebook. One of my favorites on the list is Amy Porterfield. Mari's List has almost 30,000 followers to date! by Mari Smith. 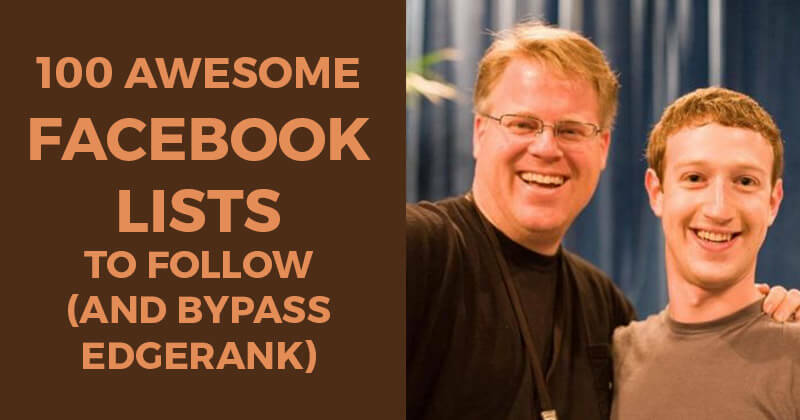 Mari created this great List of great people to follow on Facebook -- folks like Rosh Khan and Casey Zeman to name a few. by Matthew Rappaport. Great list of over 300 active Google+ members. Matthew has a cool site called "Hangout Conversations" you might find handy as well. Phyllis is the co-author of Facebook Marketing for Dummies and has shared her go-to List for social news. It's a good one! by Kate Buck. If you don't know Kate Buck, Jr, you need to know her ASAP. She has created a great List to get some juicy social media news from. by Jo Barnes. Jo Barnes is an amazing person who I've talked to many times. I'm honored to actually be on this List with other super heroes! I have a secret -- I'm not the most tech savvy person. I'm an old school PC guy and I've never owned a Mac. And while I try to keep up with all the tech news, I couldn't do it without these lists. by Sachin Monga. If you're in the tech world, this is a must follow list with over 15,000 followers to date. by Scott Ayres. Yes this listed was created by me -- but it contains many tech related pages like Quora, PC World, etc that you need to be following. by Vadim Lavrusik. This List by Facebook employee Vadim has over 49,000 followers and has over 127 people/pages in it -- like the Verge, LifeHacker and more. Go follow it! by Robert Scoble. 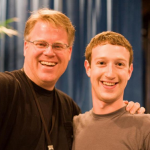 If anyone knows about the tech world, it's Robert Scoble. Anyone in the startup world or tech industry needs to follow this List. by Vadim Lavrusik. Can we say Cali Lewis, Geek Tech and Wired? Yep... all in this List. Own a business? Are you an entrepreneur? 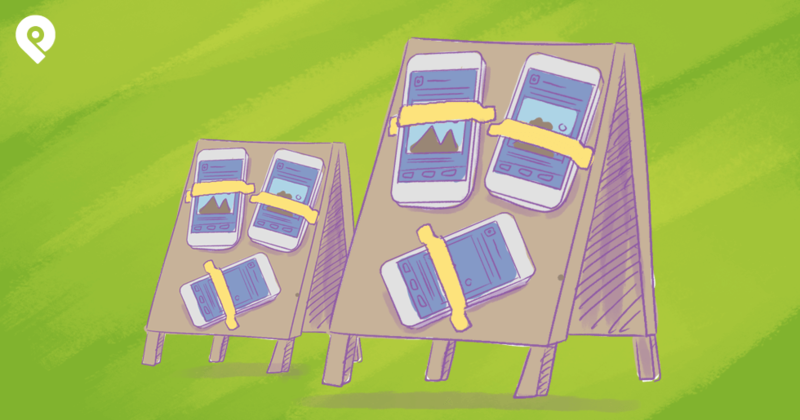 Want to keep up on the latest and greatest trends in marketing -- both online and offline? Then follow these lists. by Taher Sumon. This list tends to stay on the Marketing track including posts from Marketing Land... and I just realized I'm actually on this list! Woohoo! by Robert Scoble. This may be one of the largest lists I've seen with almost 600 people and pages feature. If you're a startup looking for an investor, follow this List. by Vadim Lavrusik. This is a power-packed list of 8 -- including Seth Godin and more. by John Jantsch. You can't talk marketing without mentioning John Jantsch from Duct Tape Marketing. I'm surprised his great list only has 632 followers. You can find HubSpot, CopyBlogger and more in here. by Randi Zuckerberg. If this list is good enough for Mark's sister, it's good enough for me! by Troy Polamalu. I do want to point out that this List was created by an actual NFL player -- which is pretty cool. I'm a bit of a TV junky -- especially reality TV. These are some cool TV-related Lists that you may find interesting. I couldn't find a ton of music-related Lists, but did manage to find a few you might want to follow -- most of them created by the same person. The titles are pretty self explanatory. None of them are very large lists -- and the creators really should add more to them. Most of us are trying to get healthier -- I certainly am. Below you'll find some really interesting Lists to help you on your journey. by Morin Oluwole. This List is very well followed with around 54,000 followers. You'll find PBS Food, Top Chef and HealthyEats.com. by Shawn Van Daele. Another great find with over 100 resources to help you find recipes! But hardly anyone following it yet. I've frequented AllRecipes.com a few times myself. by Bailey McRae. Only 24 sources on this List but nearly 97,000 followers so far! If you need an idea for tonight's dinner, follow this List. Btw, BakingBites.com is a great site, but might just make you fat(ter)! by Trey Ratcliff. A great List of some of the world's greatest chefs -- people like Jamie Oliver, Martha Stewart and Wolfgang Puck, to name a few. by Bailey McRae. I couldn't make it all about food so I included this great List of the top exercise-related pages such as Shape Magazine, 24 Hour Fitness, and P90X. I couldn't find a ton of Lists that seem authoritative in the art category. But I did manage to find a few you may want to check out. by Thomas Hawk. This may be the List I've seen with the most followers. Over 157,000 and counting! Contains over 200 photographers that regularly show off their work. The cool thing about this List is its creator, Thomas Hawk, set it up to show only photos -- which makes for a really nice feed. To my shock, Lists on Facebook related to video games are very scarce. I did manage to find a few though. You can check out below. I'm not a gamer by any means, so I really can't add much commentary on these. But there are some familiar faces. Ok... I'm not really into politics. Maybe on the local level, but not so much nationally. I also try to stay clear of talking politics on Facebook, as it causes too many problems and riffs. But I do think it's helpful to share these Lists with you below. All of them are created by Katie Harbath, the Manager of Public Policy at Facebook. She helps politicians use Facebook effectively, and has put together some helpful Lists. by Cathy James. I'm in love with this list now! With 3 kids, this one is awesome. Lots of great resources for parents. I especially dig QuirkyMomma.com . My fingers are tired from writing this post, but I hope you found some great Lists to follow! 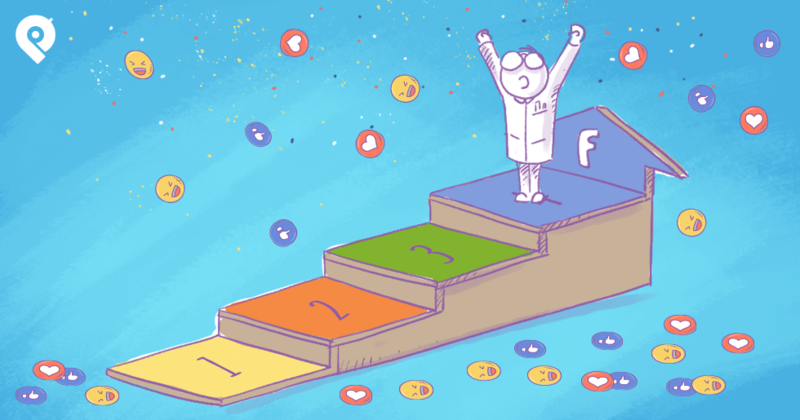 By following quality Interest Lists, you will greatly improve your Facebook experience. I promise. Did I miss any lists? Sound off in the comments.